At Poglia, we use one piece of vegetable tanned leather, nearly one half of a skin, to make our bags. That means fewer seams and improved overall durability. 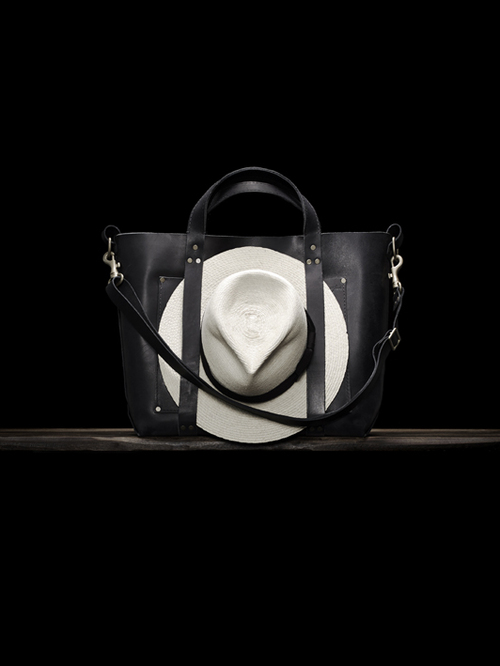 No two Poglia bags are the same. Each bag will retain markings from the original skin. We preserve these natural imperfections to enhance each piece's character and individuality. As the leather ages it will darken and develop a unique patina & finish. 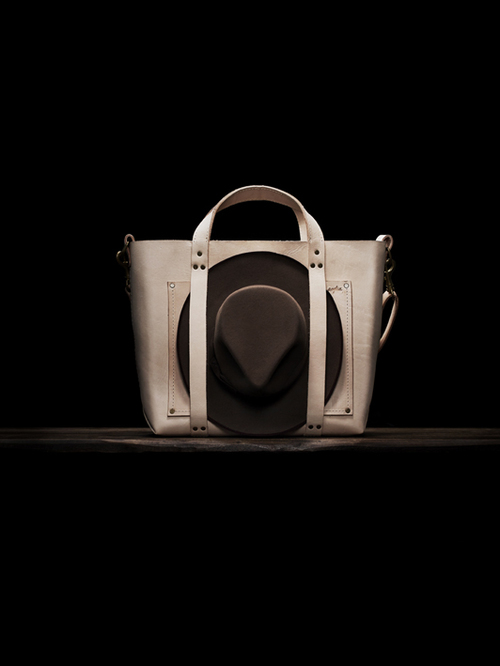 Poglia bags are also available with a weather-aged finish. To keep the process organic, we age the bags by exposing them to weather and later, by treating them with natural oil. Because we expose these bags to the elements they may develop natural stains. We don't have control over this, that's the beauty of the process. 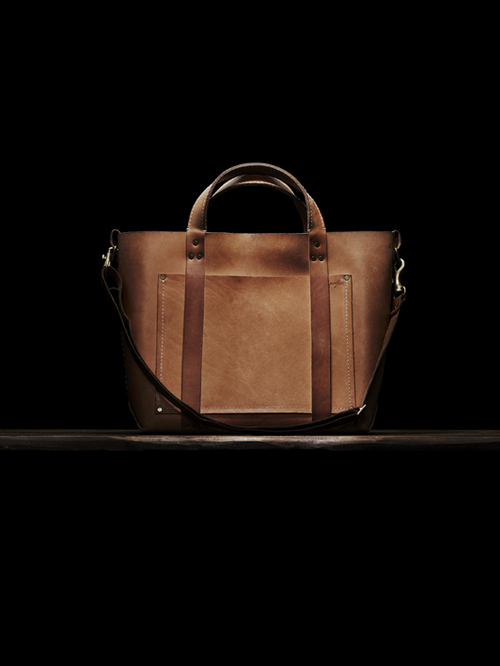 Simple and durable, everything an every-day bag should be. Available with a natural, weather-aged or black finish. Size: 18 in. x 5 in. x 13.5 in. 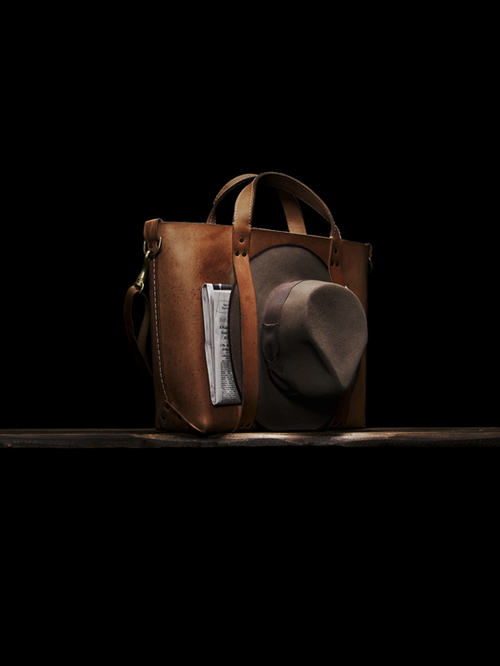 Our signature "hat-holder" bag embodies classic design with a modern twist on utility. 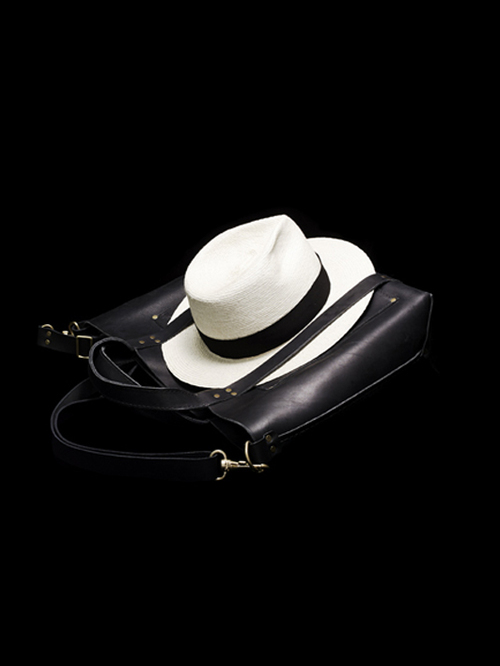 It seamlessly blends style andfunctionality, perfect for the traveler looking for a place to layhis/her hat. Available with a natural, weather-aged or black finish. Buy the ticket, take the ride," ~ Hunter S. Thompson. 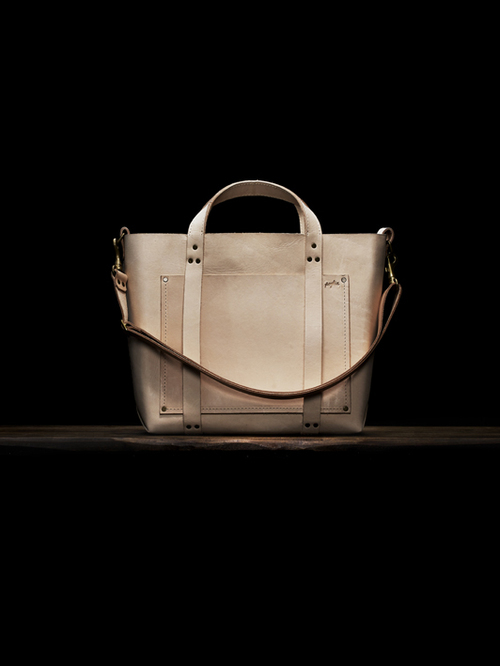 *The weather-aged bag pictured developed its patina throughout 6 months of frequent use.